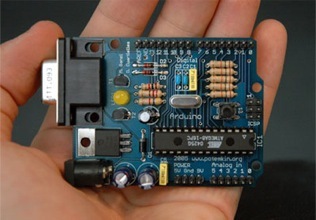 Neat little open source micro-controller for robotics and electronic arts projects. Keep wondering how you could hook Halo up to some external robotic device so as to give her a presence in the atom world in the same way that our avatars give us a presence in the digital world. What would you call such a thing? Is it still an avatar? Just about got to the end of the christmas cards! Just been out to get the Christmas Tree. Always a nice trip, even if the prices appear to be out-stripping inflation! Just had our paper on Emotions in Robotic Avatars accepted for VS-Games http://www.vs-games.org.uk/default.aspx in March. 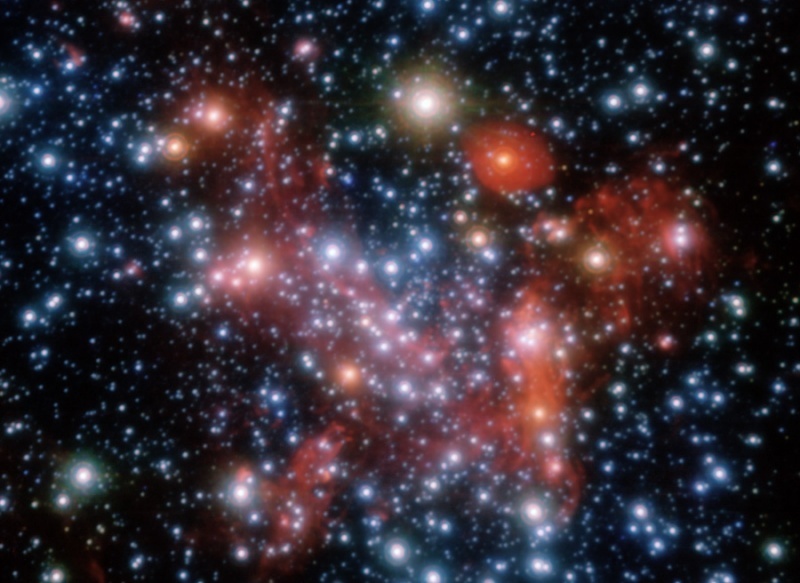 Stunning images and video of the heart of the Milky Way. Never realised they were resolving the individual stars there. The image above is only 1 parsec across - just short of the distance from us to Alpha Centauri. Particularly striking as I'm reading Incandesence by Greg Egan which is set there. Goo morning at the wargaming show in Great Barr. Time to paint the Imperial Guard! Neat demo by Aldebaran Robotics of their Nao robot, about 60cm tall and like a mini-Asimo. Taking over from the Aibo for the robot cup. Bummer, SL dies for first time in months 30 mins before the demo. At least I had a video backup, but not the same. Roll on 2009! That's it. MI2008 demo all ready. Got the RSS stuff in. At #sgai2008 BCS Artificial Intelligence conference at Peterhouse in Cambridge. Almost as cold as last year. My paper in pm. Lovely walk this morning south from the cottage towards Dale End, clear and bright, thick frost in Bradford Dale, buzzards and Llamas! At the cottage. Actually feeling Christmasy - bits of snow, cold and bright, lovely little shops in Bakewell in Dickensian streets. Love it. Been meaning to do something like this myself in C# so I could wake up to my own newspaper. Must give it a try. Sony Home video. Looking very nice, just those scene transitions and awkward gestures. Love the shadows. Assume the ghosted avatars are waiting to download, or are they non-friends? About to head of to Wolverhampton Uni to do a workshop - just checked the melon launcher is working..
Just back from the wargame, it was a draw, but I should have lost, so I suppose that means I won?